Real estate and construction giant, FLC Group and Faros, will divest 2 subsidiaries. 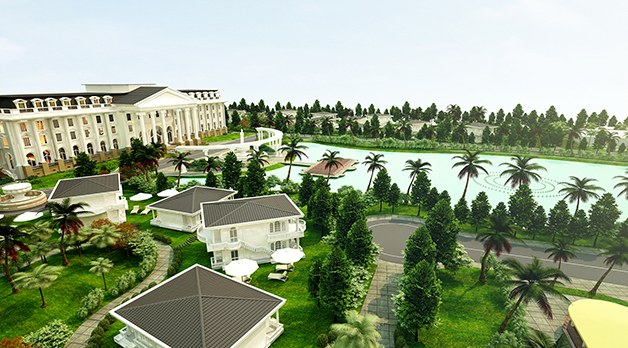 FLC Group has announced plans to divest its capital of VND550 billion ($24.2 million) at two subsidiaries including FLC Vinh Phuc Investment and Development JSC and FLC Hoang Long Industrial Zone JSC. The FLC’s Board of Director on December 6 decided to transfer all shares with a value of VND100 billion ($4.4 million), equivalent to 100 per cent charter capital of FLC Vinh Phuc Investment and Development JSC. The group also decided to transfer its capital of VND450 billion ($19.8 million), equivalent to 100 per cent charter capital of FLC Hoang Long Industrial Zone JSC. In the third quarter, FLC’s Group revenue stood at over VND1.09 trillion ($48 million), down 18 per cent year-on-year, with profit after tax at VND86 billion ($3.8 million). In the first nine months, the group’s revenue reached over VND4.7 trillion ($206.8 million), up 40 per cent year-on-year, of which, revenue from real estate accounted for 51 per cent of the total revenue. Profit after tax reached VND655 billion ($28.8 million), up 4 per cent year-on-year. Last month, the Faros Construction Corporation (ROS), in which FLC Chairman Mr. Trinh Van Quyet holds 65 per cent of the capital, will issue additional shares to fund real estate projects and rename itself as the FLC Faros Construction Corporation. At an extraordinary shareholders meeting on November 29, ROS announced a proposal to issue 107.5 million shares to existing shareholders, at a ratio of 4:1. The share issue will collect a minimum of VND1.075 trillion ($47.72 million) and fund the investment in the FLC Sea Tower project in Quy Nhon city in south-central Binh Dinh province. The offering price is expected to be VND12,500 ($0.55) per share and will not be lower than the par value of VND10,000 ($0.44). ROS’s shares are currently trading at around VND120,000 ($5.32). The issue will be conducted in the first quarter of 2017 after being passed at the upcoming shareholder meeting with procedures approved by the State Securities Commission (SSC). Mr. Quyet overtook Vingroup Chairman Pham Nhat Vuong as the richest man on Vietnam’s stock market on November 14. With 279.559 million shares in ROS and 108.86 million in FLC, his holdings stood at VND33.25 trillion ($1.49 billion) on that day, up VND2.1 trillion ($96 million). In contrast, shares in Vingroup (VIC) fell VND1,100 and closed at VND42,900, pushing Mr. Vuong’s holdings down VND1.16 trillion ($52 million) to VND30.7 trillion ($1.37 billion). The FLC Group and Faros have become major players in Vietnam’s real estate and construction sectors. The total value of their projects nationwide, including the VND5.5 trillion ($246.6 million) FLC Samson Beach & Golf Resort in Thanh Hoa, the VND7.5 trillion ($337.7 million) FLC Quynhon Beach & Golf Resort in Binh Dinh, and the FLC Vinh Phuc Resort (Phase I) in Vinh Phuc, has been estimated by real estate consultants Savills at more than $3 billion.